Swing Hall, Swing All. Photo courtesy the artist. Swing Hall, Swing All. Photo by Nathan Lewis. 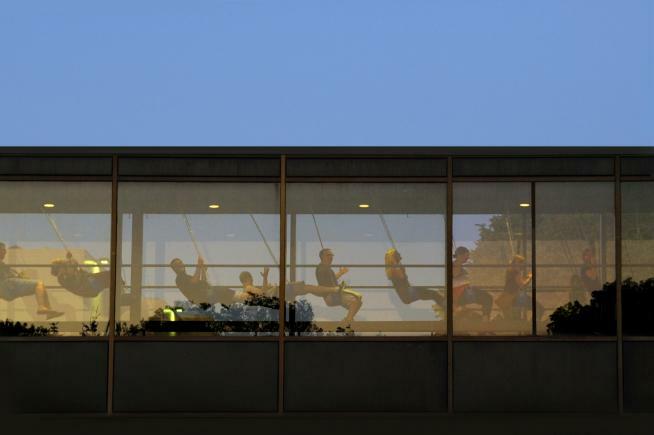 Back due to popular demand, Keetra Dean Dixon’s collective, high in the sky, swing installation in the skywalk on the MCAD campus makes the solitary sensation of swinging take on a new dimension. 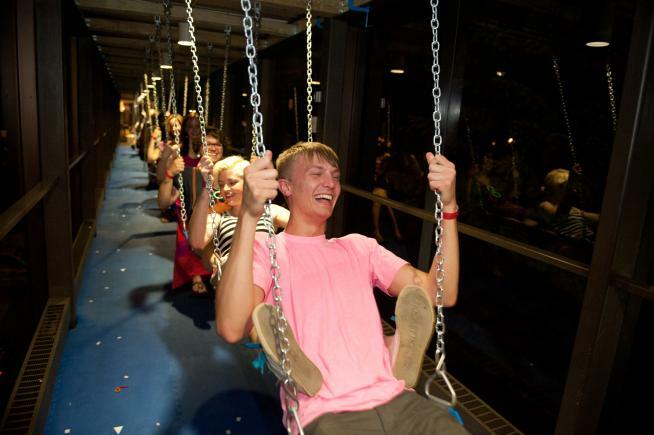 For a full, even swing, all swingers must be in sync. Out of pace swinging results in playful collision. Dixon is a designer, director, and artist. Her hybrid design background and expertise in graphic design often leads her work towards speculative terrain, leveraging emergent technologies and the shortcomings of ubiquitous creative tools.